Regular readers know that Pete Hegseth is a friend of ours. Pete is a native of Forest Lake, Minnesota, and a Princeton graduate. He enlisted in the Army and has served multiple tours of duty in Iraq and Afghanistan. Most recently, he has been in Afghanistan, training the troops who will in turn train the Afghans who ultimately take over responsibility for that conflict. We have posted a number of Pete’s bulletins from the front on this site. Pete has been active in the quasi-political world for a while. He is a founder of Vets For Freedom and has appeared many times on cable news programs. So the idea that Pete could at some point enter the political arena is not new. It now appears that that day could come sooner rather than later. Amy Klobuchar is running for re-election to the Senate this year, and so far Minnesota’s Republicans have had trouble fielding a credible opponent. Klobuchar has managed to project a moderate image, even though her voting record is hard-core liberal. Unlike some left-wing Minnesotans (e.g., Paul Wellstone), she is not viscerally hostile to business and economic growth. She has cordial relationships with many business leaders and is good at constituent service. Moreover, she can only look moderate in comparison with Minnesota’s other Senator, Al Franken. Plus, Klobuchar has somewhere between $4 million and $5 million in the bank. So most Minnesota businesspeople have had little interest in trying to unseat her. The strongest candidate to enter the race on the GOP side so far is “Doc” Severson, a former Minnesota legislator, who, like Pete Hegseth, has a military background. Severson is a good guy and seems to be doing a pretty good job of putting a campaign together. But he is unknown on the national scene, and in 2010 lost a race for Secretary of State. It is hard to be optimistic about his chances against the Democratic machine in November. The 2012 elections are less than nine months away, and nobody has any idea who might challenge Democratic U.S. Sen. Amy Klobuchar. That’s great news for Klobuchar and bad news for Republicans, however much they like their chances of winning back control of the Senate. Enter Pete Hegseth, an Afghanistan War veteran seemingly straight from central casting: articulate, telegenic, an outsider with an Ivy League pedigree. A kid from Forest Lake who goes to Princeton, volunteers for military service, and does graduate work at Harvard doesn’t come along every day, and Minnesota Republicans are not likely to let Hegseth slip away. 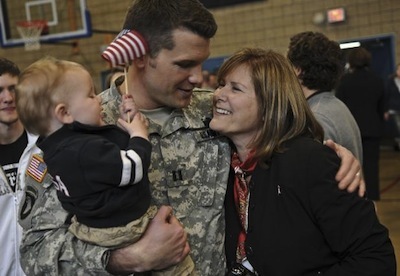 Recently returned to his wife and 20-month-old son, Hegseth says he’s “actively considering” a run. A “draft Hegseth” committee has been formed, but time is short. It will not be easy to sway enough delegates to the party’s convention in the short time available to secure the nomination. Still, if anyone can do it, it is probably the charismatic Pete Hegseth. And who knows? If he is able to get the nomination, he will indeed be an appealing candidate: a young, smart, principled patriot against a jaded politician whose left-wing votes are out of step with the direction in which Minnesota and the country need to go. It might be an interesting race.